A visit to the Canadian Rockies is one of those top life experiences not to be missed, especially if you travel by rail. Here is my Rocky Mountaineer train review from Vancouver to Jasper on the Journey through the Clouds route. Disclosure: As a Rocky Mountaineer brand ambassador, I was hosted on this trip. All opinions, weird lone dancing moments and love for the Canadian Rocky Mountains are my own. The rainforest rushes by as I stand in the outdoor vestibule of the train. A wisp of mist slips by. Is that a cloud? I think it’s a cloud. It must be a cloud! I’m on Rocky Mountaineer’s Journey through the Clouds from Vancouver to Jasper and it wouldn’t be fitting any other way. I lean out over the rail to snap a photo. Wind blasts my face. It’s exhilarating, as if I’m not just seeing the scenery, I’m part of it. If you’ve ever seen dogs hanging out of open car windows, tongue flapping in eagerness, you can picture me. I glance at the shot. All I see is a big blond fur ball, but there is no denying it’s a fur ball of happiness. There are a lot of reasons to take a Rocky Mountaineer journey, and if I do say so myself, the spirit of my fur ball head sums it up: the spectacular scenery of the Rockies, the chance to experience one of the most iconic destinations in Canada, the gourmet cuisine and the easy luxury of travelling in a world-class train. As a brand ambassador for Rocky Mountaineer I’ve now done every route except the leg from Seattle to Vancouver. Two years ago I took Rocky Mountaineer’s Route Selector Quiz to see which route best suited my personality. It said I was a Dream Seeker and should take the Journey through the Clouds, which travels from Vancouver, British Columbia, to Jasper, Alberta (or the other way around), with an overnight in Kamloops. Instead, however, I did the Rainforest to Gold Rush route because 1) I’m terrible at taking advice and 2) I wanted to learn about the Cariboo Gold Rush. The Rainforest to Gold Rush route also travels from Vancouver to Jasper, but via Quesnel, rather than Kamloops. The only downside was that I missed out on the Journey through the Clouds, which – because it matches my personality – would no doubt have led to all sorts of personal insights and positive character developments. After all, aren’t top life experiences as much about the inner journey as the external one? So now is my chance. I’m finally taking a Journey through the Clouds. 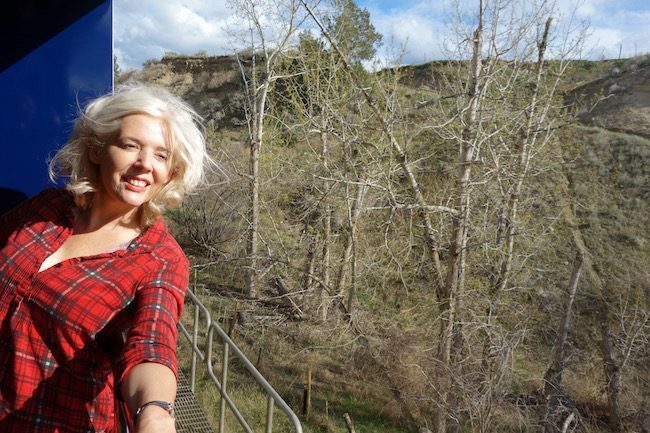 In case you’re thinking of doing the same route, here is my on-the-spot Rocky Mountaineer train review. If you’re departing from Vancouver it’s worth arriving a couple of days early. If you stay near Canada Place on the waterfront, you’ll have plenty of sights at your fingertips. Take a morning excursion to the Capilano Suspension Bridge for a wander through the rainforest (the free shuttle leaves from Canada Place), then back at Canada Place check out Flyover Canada, a crazy fun 25-minute virtual adventure that has you soaring over the country’s monumental landscape. Later you can walk into nearby Gastown for a look at historic Vancouver and perhaps dinner at L’abattoir. Bye bye, urban world. Mother Nature, here I come! A word from the wise (or from a travel blogger pretending to be wise): Rocky Mountaineer rail journeys start early so go to bed at a reasonable hour. That way you’ll be bright and chirpy when the bus takes you to the Rocky Mountaineer Station and a bagpiper serenades you as you board your carriage. Onboard you’ll have assigned seating. If you’re travelling in GoldLeaf Service you’ll be seated on the top level of the dome car. If you’re in SilverLeaf there’s only one level but the train car has lofty dome ceilings so you won’t feel as if you’re missing out. Meals in both GoldLeaf and SilverLeaf Service are inspired by the best produce the region has to offer. In GoldLeaf Service there are two seatings for meals in the dining car, while in SilverLeaf Service your meals come to you. I’m in GoldLeaf Service and glad to be in the first seating because I’ve worked up a major appetite by, er, just getting up. Guests onboard switch around, however, so tomorrow I’ll be in the second seating, but even that’s made bearable by the fresh scones delivered to your seat. Passing scenic landmarks while feasting on Sir Sanford Fleming Eggs Benedict was like revisiting old friends as I did this stretch when I did the First Passage to the West route. 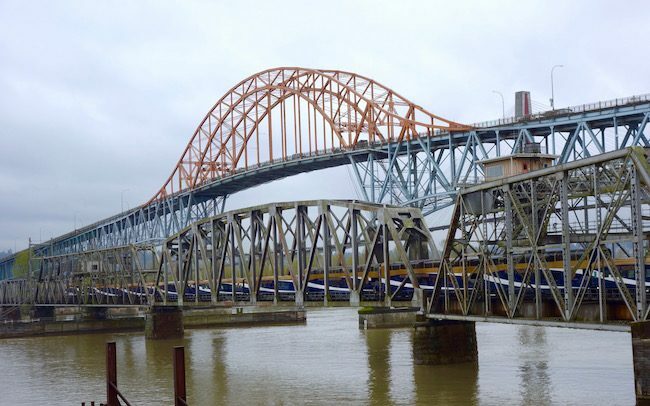 Hello, Fraser River Swing Bridge! Hello, Mount Baker! Fork in hand, I stare out at Fort Langley. For 12,000 years the land was a major gathering spot for the Indigenous People of the West Coast, and Hudson’s Bay Company established a fur trading depot here in 1827. But of course, you’ll be pleased to venture here because you’ll be in your comfy seat, custom-designed for Rocky Mountaineer and complete with adjustable settings for warmth and comfort. But don’t get too comfy because you might miss photo ops at places like Skuzzy Creek or Jackass Mountain. Full confession: I didn’t actually see Jackass Mountain, I saw The Vicinity around Jackass Mountain. I just wanted to say Jackass Mountain, and to tell you that in the 1860s it was a hazardous place for the hardy mules that carried supplies during the Cariboo Gold Rush. Where do you spend the night on a Rocky Mountaineer journey? You don’t sleep on the train so that you don’t miss the amazing views. It’s still light when we sail into Kamloops for our overnight stop and honestly, I’m surprised that our hotel, the Sandman Signature, is as chic as it is. Either I have a terrible memory or they’ve upgraded since I was last here, because now it’s all contemporary design, neutral tasteful colours and most importantly, has a free coffee and tea station in the lobby. On the second day we get into the towering peaks and glaciers of the Rocky Mountains, so while I’m eating my locally-sourced Roasted Salmon with Smoked Sea Salt, I’m also popping up every two seconds to run out to the outdoor vestibule to get an unhindered look at must-see sights such as Pyramid Falls and Mount Robson, the highest mountain in the Canadian Rockies. At one point in the late afternoon I find myself alone on the outdoor vestibule. Shadows have fallen over the mountains in front of me while a peachy gold light illuminates the peaks farther back. Faintly, over the loudspeaker I can hear Pharrell Williams’ song “Happy”. The song suits my mood perfectly so I take a moment to dance around the outdoor vestibule in a private celebration of being in the Rockies. That’s when I realize something. The Journey through the Clouds does suit my personality. 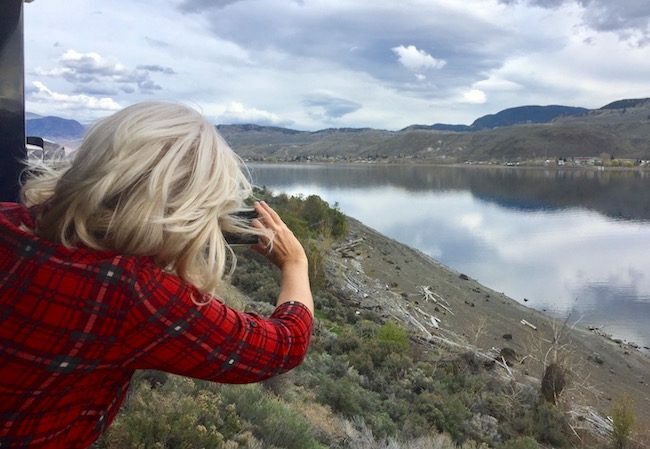 I might have been too busy taking photos, feasting and dancing in ritualistic celebrations of the fresh mountain air to do as much soul searching or personal growth as I would have liked, but I did learn something. I learned that we all have our good sides, and mine is the back of my head. A national park since 1930, Jasper is a stunning Rocky Mountain destination and I recommend you spend at least a day here. The most luxe hotel is the Fairmont Jasper Park Lodge, a 700-acre resort on scenic Lake Beauvert about 7km out of town. The gracious timber lodge has a shuttle that goes into town. You can also walk it or it’s a $20 cab ride. 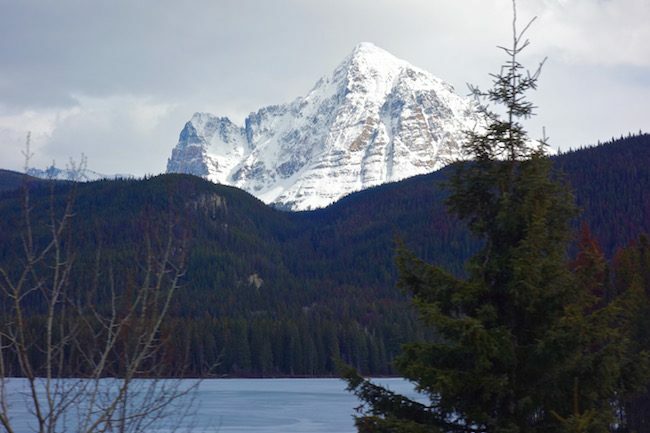 If the Rocky Mountains of Canada is on your travel bucket list, make the most of it by adding a bus tour of the Icefields Parkway that follows a breathtaking route from Jasper to Banff. You can tailor your Rocky Mountaineer journey to create an itinerary that works best for you. A lot of guests also combine their Canada rail journey with an Alaska cruise. My Rocky Mountaineer train review wouldn’t be complete without giving you an idea of prices. Journey through the Clouds starts at $1499 CAN for a 2-day 1-night package in SilverLeaf Service and $2049 in GoldLeaf Service. 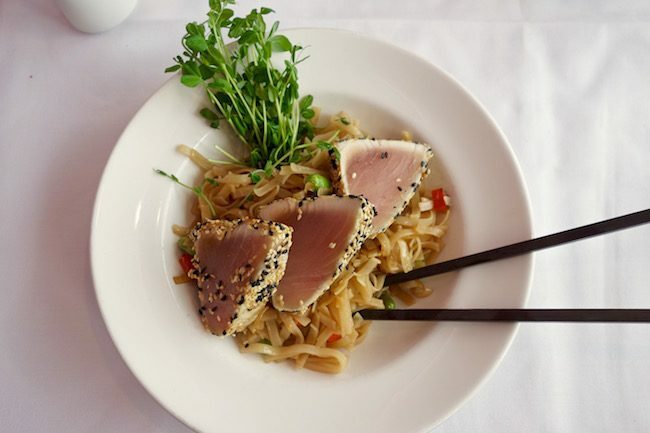 This is the most basic package and includes 2 breakfasts, 2 lunches, 2 days onboard Rocky Mountaineer, drinks galore, hotel transfers and 1-night accommodation in Kamloops, but not accommodation at either end. For a more comprehensive tour, you could try the Journey through the Clouds at Leisure package which takes in Vancouver, Jasper, Lake Louise, Banff and Calgary and includes 9 nights hotel, the Icefields Parkway Bus Tour to Banff and plenty of other tours in Jasper, Banff, Lake Louise and Calgary. Prices range from $3,249 to $7,699 CAD. 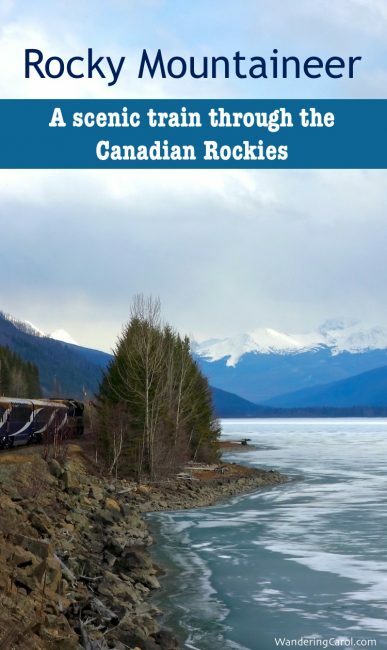 Learn more about Rocky Mountaineer scenic train routes. Learn more about Rocky Mountaineer’s deluxe hotels over at SpaTravelGal. 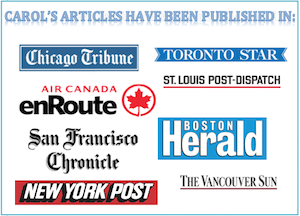 Or, read more fantastic things to do in Canada. 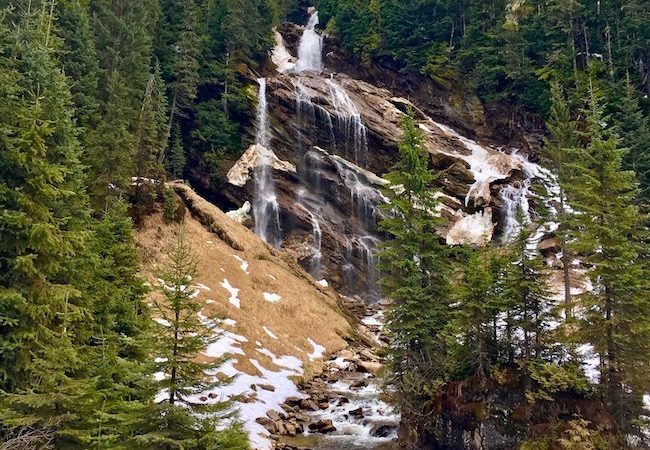 Have you taken the Vancouver to Jasper via Whistler/Quensel and if so how is the scenery relative to Jasper via Kamloops? Oh, I’m excited for you, Mike. Please let us know how the train trip goes. I would love to do this rail trip some day. I’ve driven through this part of the country and it is truly spectacular. 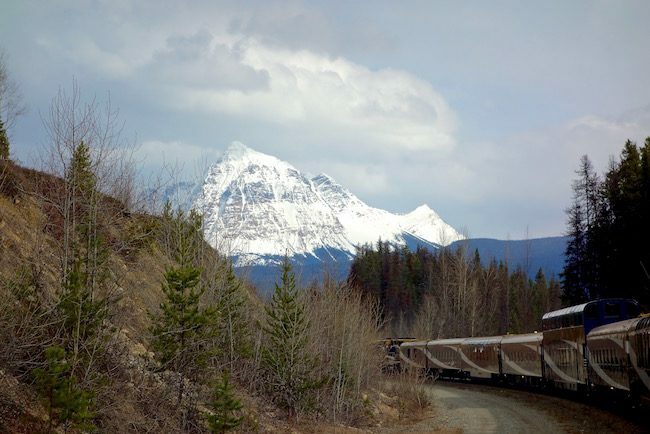 It would be extra special to see it from the Rocky Mountaineer, especially the dome car! I love this post! 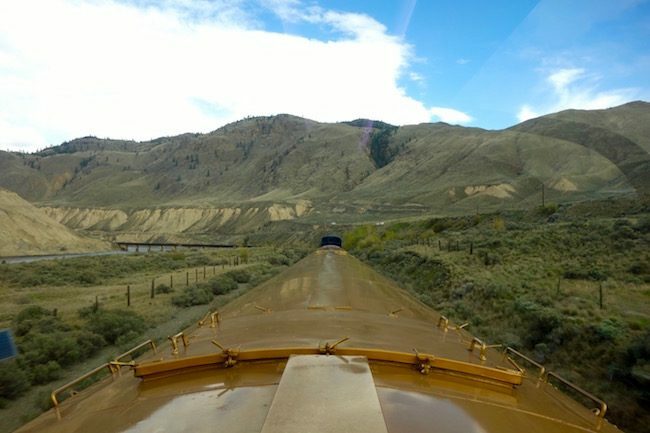 I’m from Calgary, and I’ve always wondered what it would be like to take the Rocky Mountaineer. The Journey through the Clouds itinerary looks amazing. Can’t wait to get on board this train. 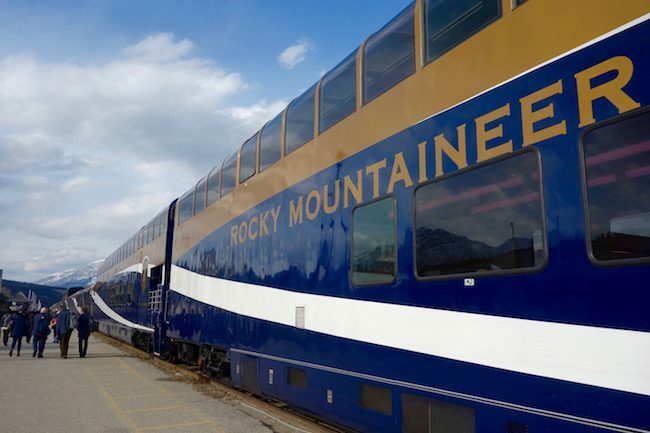 The Rocky Mountaineer looks fascinating. 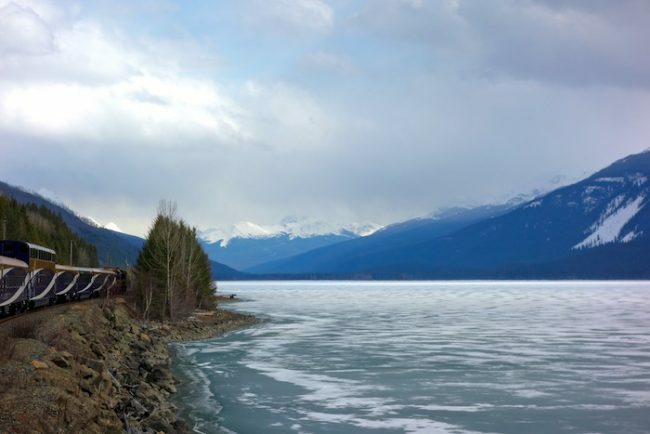 Being a diehard fan of train journeys and always bowled over by the romance of the railroads, I loved reading about this beautiful train journey from Vancouver to Jasper. The landscapes are really stunning. Looking at the picture of your head, I was reminded about our train journeys in Switzerland when we used to hang our heads out of the window to catch in the awesome views of the Alps and the meadows. I’ve never heard of this before but now I want to do it! Your photos are gorgeous. The travel looks first class and the food looks delicious. 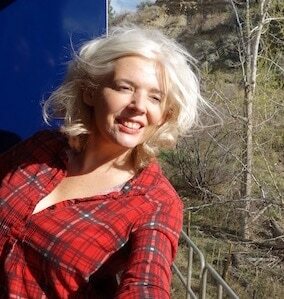 Train riding at its best is exactly how I’d describe it, Candiss. This is such a great trip. Also Journey through the Clouds seems like the most dreamy and amazing title to describe such a nice journey. GoldLeaf Service looks amazing. I’d love to travel with them. Wow between the views and the service this looks like train riding at its best! I will be looking into such a journey when I finally get the time to explore Canada. I love this part of the world but never done any train rides. But the scenery brings back many memories, especially Kamloops. Crazy part of BC. Usually you arrive in Kamloops early enough to have dinner in the city. If the train is late, however, they’ll serve you something light onboard. 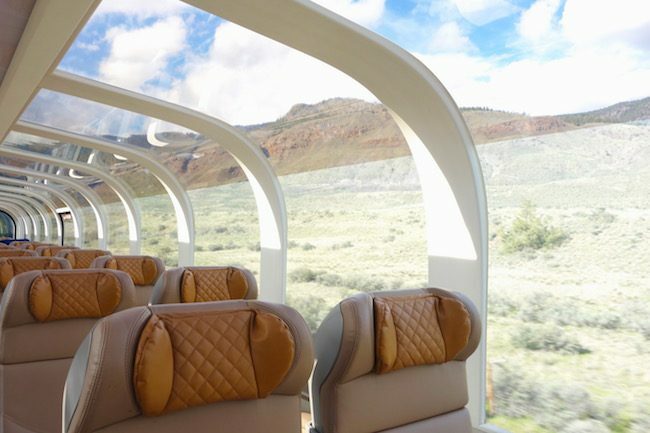 Journey Through the Clouds sounds like a fabulous experience and at $1499 CAN for a 2-day 1-night package not as pricey as I would have expected given the luxurious dining and deluxe train. 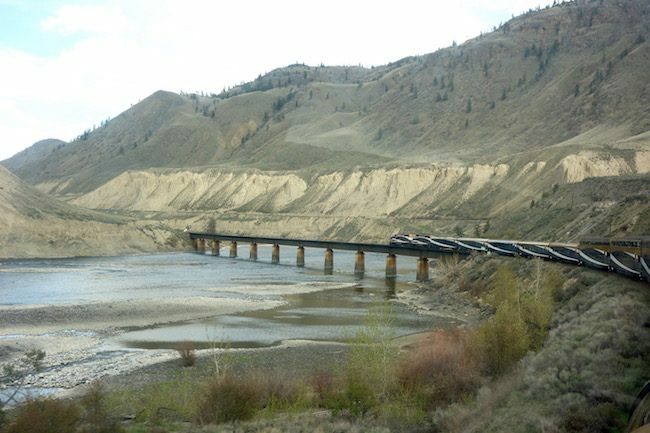 Do people eat dinner in Kamloops or on the Rocky Mountaineer?